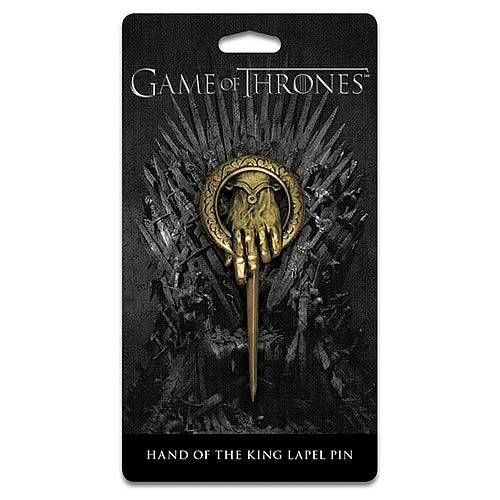 This wonderfully crafted Game of Thrones Hand of King Pin is based on the pin worn by Eddard Stark, Hand of the King. The Hand of the King Lapel Pin is die-cut and comes on a color card backing. Item measures 3-inches long x 1 1/4-inches wide. Ages 18 and up.